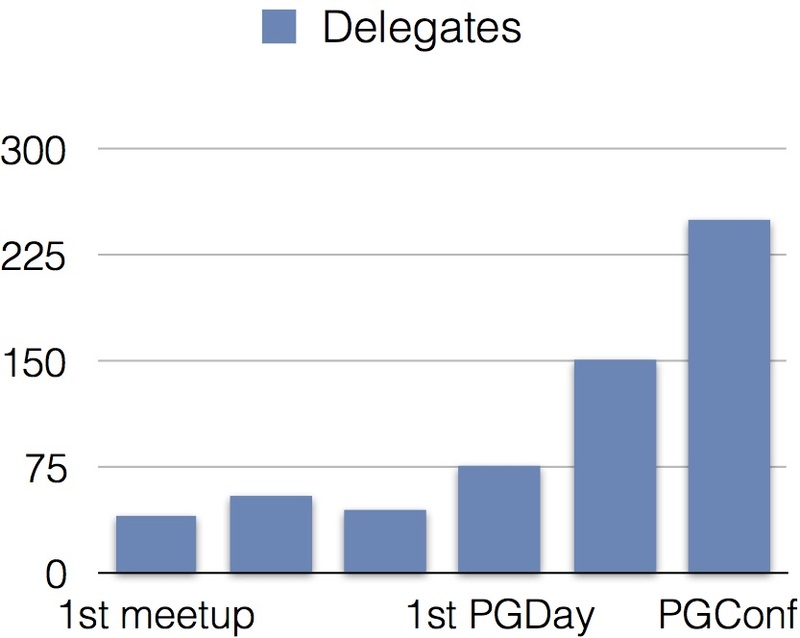 Yet another edition of PGConf India came to conclusion in early March. 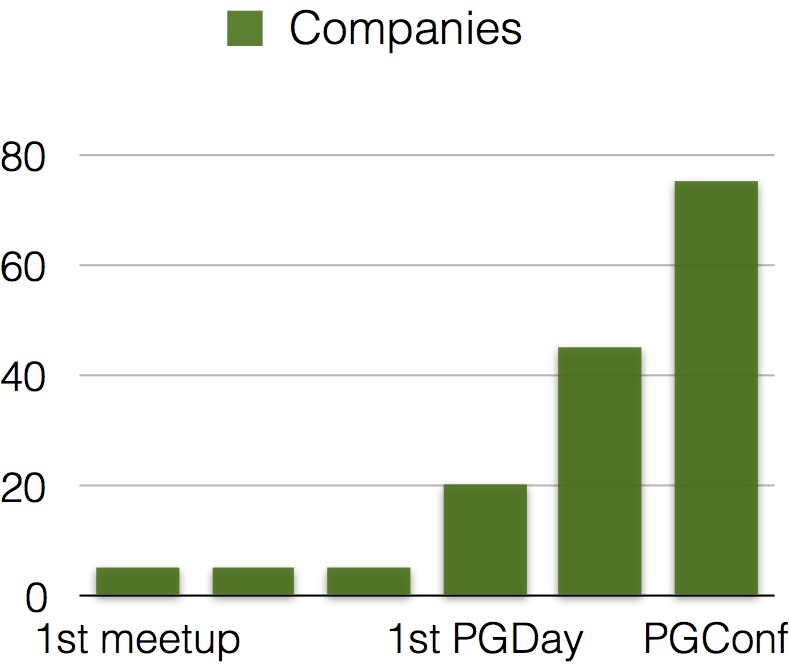 You may have noticed the change from PGDay to PGConf, which signals a much larger gathering of PostgreSQL enthusiasts, now and in future. What started as a small meet-up of like minded people 4 years back, has now grown into a 2-day conference with a dedicated training day and a multi-track event at the main conference. The keynote this year was delivered by Simon Riggs, a major developer and committer at PostgreSQL. 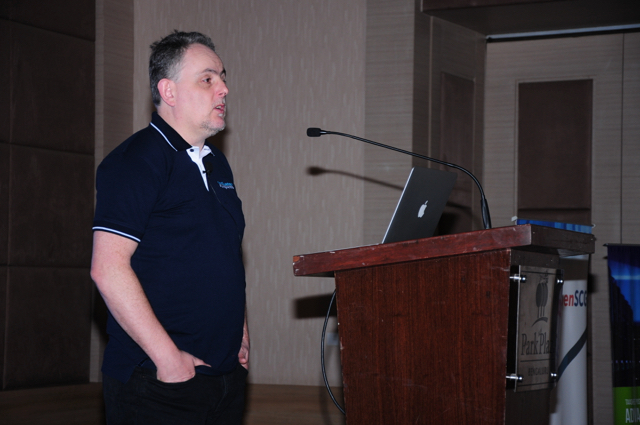 He presented his thoughts on why Persistence is key to PostgreSQL’s success. Persistence is why users trust PostgreSQL to manage their critical data and persistence is why PostgreSQL community is able to deliver a solid product, release after release. This year’s conference was attended by more than 250 delegates, coming from 20 different cities in the world and presenting over 80 different companies. This is at least 40% growth over the last year’s conference, and shows growing popularity of the conference but more so of PostgreSQL as a preferred choice of database. The other key achievement this year was the success of a dedicated training day. The program saw much higher interest than what we anticipated. Over 75 participants from 30 different companies attended this day long session and got a chance to learn from some of the best trainers in the world. The training topics covered things such as performance tuning, high availability, physical/logical replication and backup and recovery. This is the first time we conducted 3 parallel tracks at the main conference. Until 2 years back we used to struggle to get even a handful topics submitted for the talks. This year we had to reject 2 submissions for every accepted talk, even after doing a 3-track event. Leaving you with a photo moment. Re-import repository keys for BDR and pglogical apt repositories How do I re-sign a debian package (deb)?